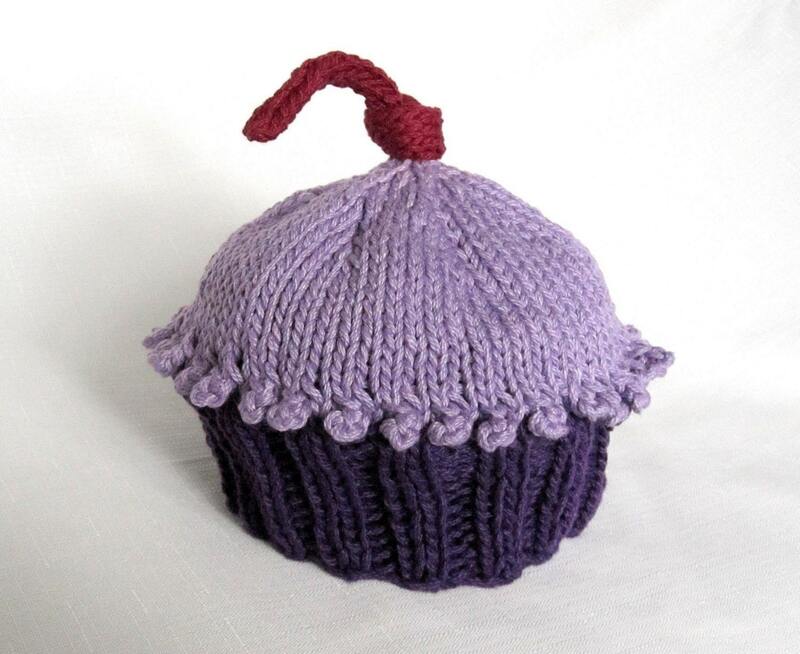 Celebrate a birthday or dress up your little one in this sweetest Purplicious Cupcake Hat. A yummy purple cupcake with sweet lavender frosting and a knotted cherry on top, this hat is sure to delight the purple-lover in your life. This 100% cotton yarn has the perfect gentle softness for your little one. For safety reasons, no beads for sprinkles will be added to cupcake hats. 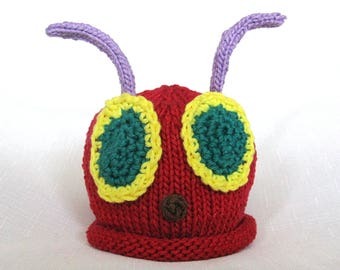 All of my hats are hand knit on circular needles, so there is no seam to irritate a baby's tender head. These hats can be machine washed, but come out better when hand washed and dried.